Safety Update: Lt. Anderson presented crime statistics from 2012 through 2016. Our crime levels continue to remain pretty similar year over year with the majority being property crimes, and many of those being crimes of opportunity (unlocked or open doors, etc.). The Minneapolis 2040 planning document currently includes the following 2 statements, which several other neighborhoods are asking the City for clarification and context around. We will be responding as a board regarding our concerns around this issue. Committee Updates: Green Team – members will be attending the Sustainable Behavior workshop on Saturday, hosted by Council Member Palmisano. An initial meeting for those interested in joining Green Team efforts will be scheduled for some time in March. Community Engagement – We are still awaiting a project manager for the Washburn Tot Lot improvement planning. We are switching our neighborhood Happy Hour’s to Mondays from 7:00-9:00 pm at Cafe Maude, beginning on March 6, and will be every other month (no Happy Hour on Labor Day). We have gotten several more donations/items to include in our welcome bags for new residents and are working on connecting with even more local businesses. Safety Team – Our first efforts to connect with block leaders has encouraged us to keep building these connections and gathering ideas for ways to support the interests of our neighbors. Summer Festival – Task lists should be completed soon. We hope to have the car show returning this year with the support of area residents. A planning kick-off meeting will be scheduled in March. Mike Lindor, on behalf of Mike and Danielle Jostrow, has applied for a variance to reduce the established front yard setback along 58th Street West on a reverse corner lot in order to construct a new single-family dwelling at 5801 Russell Avenue South. The Minneapolis Board of Adjustment will meet on Thursday, March 16, 2017, at 4:30 p.m., in Room 317 City Hall, 350 S. 5th St., Minneapolis, MN. Interested parties are invited to attend and be heard. Planning Department staff will issue a recommendation to the Zoning Board of Adjustment. After hearing from the public, the Zoning Board of Adjustment will make a determination based on required legal findings of fact. Please visit http://www.minneapolismn.gov/meetings/zba for the agenda with staff reports (web page will be updated by the end of the day Thursday prior to the meeting date). The meeting site is wheelchair accessible; if you need other disability related accommodations, such as a sign language interpreter or materials in alternative format; please contact NCR@minneapolismn.gov or 612- 673-3737 (673-2157 TTY/VOICE) at least five days prior to the meeting. VARIANCE – The City’s principal means of controlling land use is the zoning ordinance, which divides the City into different districts. The individual districts determine lot size, building height, building and parking setbacks, required parking and various other standards. The Board of Adjustment may grant a variance from these requirements, when the applicant can demonstrate that practical difficulties exist due to circumstances unique to the property. 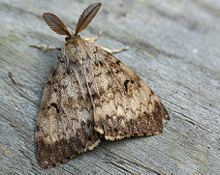 The southern most part of Armatage neighborhood, along with a larger portion of Richfield, will be experiencing Gypsy Moth treatment this spring. Learn more on our website, and watch for updates on Nextdoor and Facebook. You can also sign-up for email updates through the Minnesota Department of Agriculture’s (MDA) website (under the 2017 treatments section). The Summer Parks Guide is now available! Registration begins March 8 at noon. The Minneapolis Park and Recreation Board (MPRB) is partnering with the City of Minneapolis and community members to create a unique public art gathering and memorial space on the shore of Bde Maka Ska (Lake Calhoun). Address: 1530 E Franklin Ave.
Topic: Discuss concepts for the gathering space. Activities begin at 10:00am, followed by the egg hunt at 11:00am. Children are divided into age groups and claim small prizes and candy after the egg hunt. Volunteers needed to help distribute prizes! Please let us know if you can help out. This entry was posted in Meeting Highlights, Park, Public Hearing on March 3, 2017 by anacoordinator.